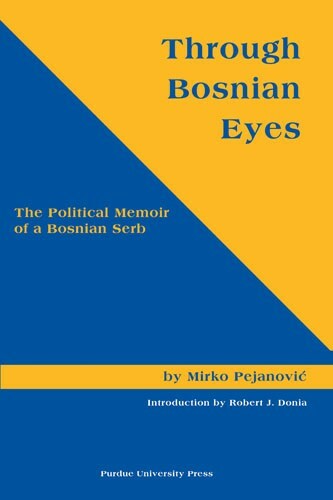 Concurrent with the dawn of multiparty politics in 1990, Mirko Pejanovic emerged in Bosnia-Herzegovina as the leader of the Socialist Alliance. His organization was in charge of implementing policies of the League of Communists.This memoir, beginning in 1990, tells the story of his experiences as a public and political leader. 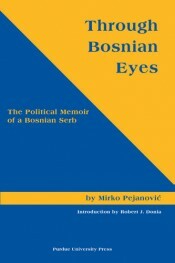 Through Bosnian Eyes covers a decade of Pejanovic's service. His role in public life was characterized by an unwavering commitment to national equality and strong convictions regarding the nature of a multiethnic Bosnia-Herzegovina. As a participant in the most important political events of the time, and as a colleague of every major political leader, the author conveys a personal history that is memorable for its insights into the neglected world of Serbs who remained loyal to the nation in trying times. Mirko Pejanovic was born and raised in the Bosnian town of Matijevici. He graduated from and became a professor of Political Science at the University of Sarajevo . He has published more than 150 professional works and holds the position of president of the Serb Civil Council for the Movement of Equality.